a 10% discount at our café. During the school Summer Holidays, from Monday to Friday you and your children have an opportunity to enjoy some mini-tennis for FREE! 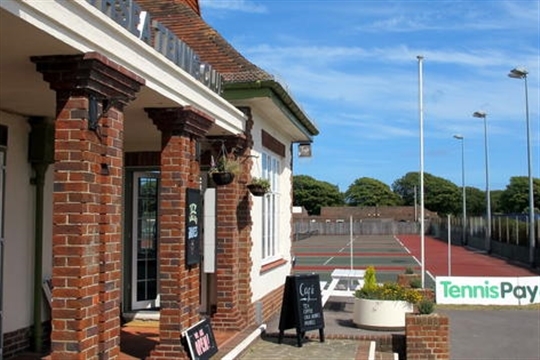 You can book a court for a half-hour slot at any time from 9.30am to 3.30pm by phoning the Pavilion Café on 02392 824693 or you can just turn up and see if a court is free. Please register first at the Café counter. We provide racquets and balls. Mini-tennis is aimed at children from 3 to 8 years old. A responsible adult must be there to supervise. 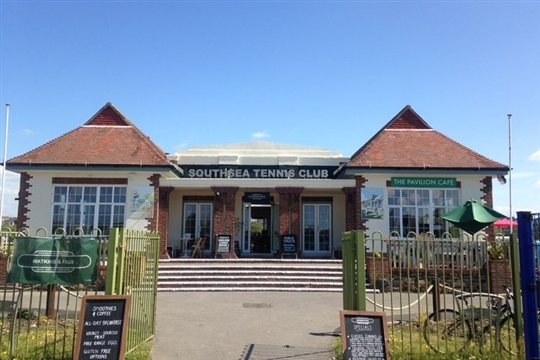 Afterwards you might like to sample our Pavilion Café. Our friendly staff will be happy to help. from 13th to 17th August. The Camps are aimed at children aged 4 to 16 and cost £120 for the week or £25 a day. The Camps offer a whole range of sporting activities, including football, tennis, rounders, beach volleyball.